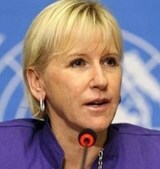 The relations between the European Union (EU) and Turkey have long been subject to scholarly interest. It is however much less prevalent to assess the relations between the EU certain sub regions and Turkey. In this article we undertook the latter task in analyzing the relations with the Visegrad Group or V4 countries—namely the Czech Republic, Hungary, Poland, and Slovakia—on one side, and Turkey on the other. However, the task is rendered difficult by differentiating between the multilateral V4 framework and the bilateral ties between individual V4 countires and Turkey. In addition, the V4 countries are all members of the EU and this increases the complexity of the analysis, as the V4 as such, cannot be wholly dissociated from the EU-Turkey framework. Despite these rather technical-analytical difficulties, there is a number of areas where the relevance of V4-Turkey relations can be highlighted. The global framework of the Cold War forced the Visegrad Countries and Turkey into opposing political blocks. After the dissolution of the bipolar world order, the international system of alignments dramatically transformed. Common foreign political goals of the newly elected democratic governments in Czechoslovakia, Hungary, and Poland led to the realization that a joint regional platform could not only strengthen the position of the freshly independent Central-European states within Europe but also act as a catalyst in their progression towards Euro-Atlantic integration. Thus, reaching back to an idea that was put to the test for the first time in the 14th century, the frameworks of a loose partnership were set up leading to the official founding of the Visegrad Group on 15 February 1991. The originally tri-country cooperation reached its current form in 1993 after the dissolution of Czechoslovakia into the Czech Republic and Slovakia. Rather than focusing on the occasional bilateral disagreements of the member states (for example regarding the rights of national minorities) the V4 became the Euro-Atlantic integration facilitator its creators wanted it to be. With only one truly joint institution—the International Visegrad Fund (IVF) created in 1999—the group set out to gradually realize its foreign political goals. By 2004, the originally set out task was achieved: The Czech Republic, Hungary, Poland, and Slovakia all became members of the EU and the North Atlantic Treaty Organization (NATO). With EU and NATO membership attained, a public debate began about whether it was still worth to put effort into maintaining the partnership. While occasional critical voices did not fully disappear, the group by now has established itself as the increasingly efficient facilitator of regional partnerships in Central Europe. While maintaining its positive dynamism as a regional platform in the EU, the Visegrad countries are becoming a valued and sought-after partners for cooperation in neighboring regions of the Eastern Neighborhood and Western Balkans. At the same time, it has to be acknowledged that in many instances the V4 cannot be characterized as a monolithic group, since in many cases the member states have different goals and/or priorities. The global framework of the Cold War forced the Visegrad Countries and Turkey into opposing political blocks. Trade cooperation between V4 countries and Turkey is a field where ties are based on individual bilateral relations. Even so, it is worth breaking down the aggregated picture of V4 countries’ economies compared to Turkey. The dataset clearly reveals that foreign trade relations between Turkey and the V4 have been gradually increasing over the past couple of years. While three percent of Turkey’s total export was directed to V4 countries in 2015, it was not significantly less than Turkey’s export to its important Western-European partners, such as Spain or France which accounted for 3.3 percent and four percent, respectively. Also, it is interesting to highlight another comparison with regard to a group of countries, which are classically regarded as important for Turkish foreign policy. Turkey’s total export to the five Post-Soviet Central Asian republics equaled 2.5 percent in 2015, thus exceeding the V4 in relevance. Turkey’s import from the V4 countries accounted for 3.5 percent of its total imports in 2015. This figure was close to France’s share of approximately 3.7 percent, and exceeded imports from the United Kingdom or Spain, each accounting for 2.7 percent in Turkey’s total import. Concerning the FDI flows between the V4 countries and Turkey, the figures remain much less significant, compared to the foreign trade data. According to the statistics of the Central Bank of Turkey, the V4’s share in Turkey’s total incoming FDI accounts for 0.15 percent, while only 0.14 percent of total Turkish FDI flow was directed towards the V4 countries in 2016. However, experts point to the importance of “indirect” capital flows between Turkey and V4 countries, as Turkish investments often happen to enter the region via third party (e.g. Dutch) companies. “Diversification is one of the key factors ensuring energy security in Central Europe” said Miroslav Lajcák, Deputy Prime Minister and Minister of Foreign and European Affairs of the Slovak Republic in a meeting between V4 and Turkish foreign ministers in May 2015, where energy issues constituted an important part of the discussed agenda. Energy issues are far beyond being purely economic matters; their geopolitical importance equals or perhaps outstrips that of economic matters. Therefore, the potential shift to the use of new energy sources, source countries, or supply routes can all become game-changing factors for the European energy security landscape, wherein Russia’s role is a crucial element. Thus, the EU’s aspirations to diversify away from Russian gas and import from further regions, such as the Caspian Sea Basin, Central Asia, Iran, or the Eastern Mediterranean might redraw Europe’s, and thereby the V4’s energy security map, at least to some extent. V4 countries’ energy ties with Russia date back to Soviet times, and to this day, Russian gas is overrepresented in the supply mix of Central Europe. According to a paper published by the Energy Charter Secretariat Knowledge Centre, Slovakia is the most dependent on Russian gas, with 100 percent of its natural gas coming from Russia. It is followed by the Czech Republic and Poland, with 91 percent and 90 percent, respectively. Meanwhile, Hungary is the least dependent country in Central Europe on Russian natural gas, with 80 percent dependency. Hungary is the least dependent country in Central Europe on Russian natural gas, with 80 percent dependency. When it comes to assessing Turkey’s position in the regional energy security architecture, the country appears to be in a key position. The Southern Gas Corridor (SGC) initiative of the EU aims to transport natural gas from Azerbaijan to Europe, through a chain of pipelines. The longest pipeline within this structure, called the Trans-Anatolian Pipeline (TANAP), will run through the territory of Turkey and—according to the initial estimates—will be able to carry six billion cubic meters (bcm) of natural gas to Turkey, and further 10 bcm towards European markets annually. However, this is not the only ongoing pipeline project that is supposed to be completed on Turkish territory in the coming years. The TurkStream natural gas pipeline, initiated by Russia, is set to create a new, direct energy link between Russia and Turkey. It is certain that Turkey’s role as an energy transit country will be strengthened through these projects, however it remains to be seen how the expected gas amounts might reach and benefit the V4 countries. This latter prospect has long been part of European energy security discourse, and there is a long list of energy infrastructure projects that after a promising start fell completely through in the past decade. Given their individual situation and interests, the V4 countries’ views on how regional energy projects should be implemented do not fully coincide, however diversification can be still identified as an overarching policy goal for the V4. This definitely creates the potential for cooperation with countries in the south-eastern neighborhood, including the Balkans and Turkey. In the past, there were chiefly two infrastructure projects on the table that addressed Central Europe’s diversification plans from the south-eastern direction. One of them is the so-called “Tesla” Pipeline, which is supposed to carry Russian gas through the Balkans to Hungary and Austria. The second one called Eastring Pipeline aims to connect natural gas infrastructure between Slovakia, Hungary, Romania and Bulgaria, enabling gas flows from the Turkish-Bulgarian border to Central Europe, and vice versa, as the pipeline is planned to be bi-directional. The overall question is whether diversification will apply to the supply routes only, or also to the source country of the natural gas it will carry. In other words it remains to be seen whether the new energy supply routes will in fact enable the flow of gas from producers other than Russia. Over the last two decades, cultural relations between Turkey and the V4 countries have gradually deepened. Although agreements laying the foundations for further cultural cooperation were, similarly to other domains, signed on a bilateral basis, alignment in the V4 over cultural projects make it possible to speak of a quasi-cultural cooperation between the Visegrad Group and Turkey. Currently, locally-coordinated institutional, cultural, and educational dialogue between the V4 countries and Turkey centers around the philology departments of universities, as well as the Yunus Emre Cultural Centres (Yunus Emre Enstitüsü) in Warsaw and Budapest (established respectively in 2010 and 2013) and the Hungarian Cultural Centre (established in 2013) in Istanbul. These institutes mutually reinforce the educational and cultural work done by the embassies and consulates of the V4 countries and Turkey. Since 2011, the Yunus Emre Centres in the region also coordinate academic initiatives, such as the Turkology project originally initiated by the Turkish Cooperation and Coordination Agency (TIKA), that have an impact not only in the given country but also in neighboring states. Similarly, the Hungarian Cultural Centre in Istanbul often hosts events that involve other member states of the Visegrad Group as well, thereby successfully building the joint V4 image in Turkey. Cultural associations and NGOs, in cooperation with state institutes, are organizing more events and exhibitions that aim to present a joint V4 cultural platform to the Turkish public. Energy diversification can be still identified as an overarching policy goal for the V4, which creates the potential for cooperation with Turkey. The figures presented in this article suggest that FDI flows between the V4 and Turkey have remained so far considerably limited, however, foreign trade figures show a constant growth. It remains to be seen whether V4-Turkish economic and trade relations can be scaled up even further. In terms of energy affairs, V4 countries tend to view Turkey as a highly relevant actor for the energy security aspirations and diversification goals of the whole of Europe. However, it is rather a long-term question whether an interlinking infrastructure system will be constructed and enable larger energy security cooperation between Central Europe and Turkey. In contrast, culture can be identified as an area where joint efforts are less exposed to complex geopolitical conditions. Initiatives and projects show that when common ground is found, all parties involved can benefit from the strengthening of the V4 brand in Turkey. 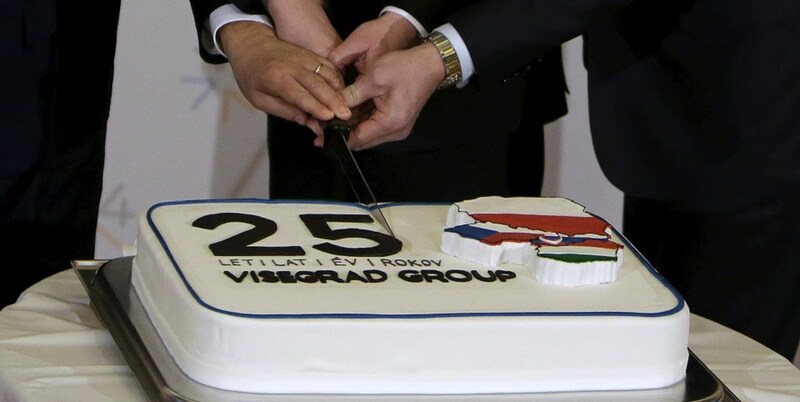 In 2018 the Visegrad Group is celebrating the quarter-century anniversary of the creation of its current V4 format. Throughout the last 25 years, the Czech Republic, Hungary, Poland and Slovakia all managed to achieve the fundamental goals that were set out in 1993. With NATO and EU membership secured, the group continues to function as an effective tool when it comes to the representation of Central Europe’s interests in a wider geopolitical context. During the last several years, a number of dedicated V4-Turkey ministerial meetings revolving around issues of mutual interest have been successfully organized. However, it has to be stated that high-level political contacts and agreements between V4 member states and Turkey are almost always conducted on a bilateral and not multilateral basis. Nevertheless, the joint economic and political potential of the V4—in addition to its geographical position—makes it a suitable partner for future multilateral cooperation with Turkey. Tomáš Strázay, “Possibilities of Cooperation between the V4 and the Maghreb: Reality Check,” Raising Awareness—Finding Common Ground: The V4 and the Maghreb, ed. 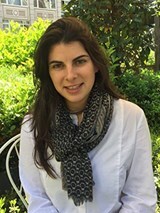 Erzsébet N. Rózsa, Máté Szalai (Budapest: Hungarian Institute of International Affairs, 2014), pp. 68–69. Tamás Szigetvári, “Turkish investments abroad, with a special focus on Central and Eastern Europe,” Centre for Economic and Regional Studies HAS Institute of World Economics, Working Paper, 2017, 19. Martin Minárik, “Energy Cooperation in Central Europe: Interconnecting the Visegrad Region,” Energy Charter Secretariat Knowledge Centre, Occasional Paper (2014), p. 5. The first ever, albeit short-lived, Hungarian cultural institute, the Hungarian Scientific Institute was established in 1916 in Istanbul. 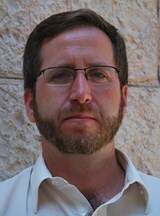 Tamás Kozma is an International Relations Manager and Research Fellow at the Antall József Knowledge Centre in Budapest, Hungary. Dr. Péter Dobrowiecki is Head of the Visegrad-European Union (EU-V4) Office at the Antall József Knowledge Centre in Budapest, Hungary.